What a wonderful picture! In fact, the surrounding views in the Hampi area often make us think about it. For example, this photo is literally knocked me all of a heap. What's this? Is this the creation of nature or man? 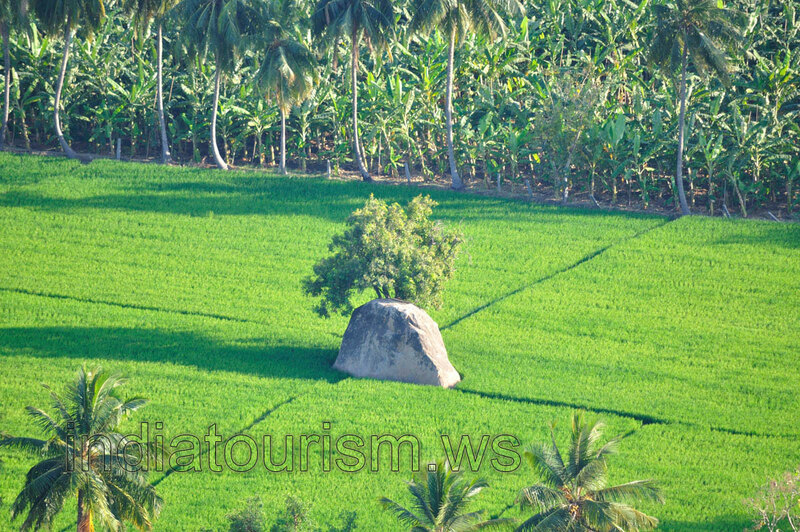 Suddenly, among the neat rice paddies, is placed the boulder with an unusual shape. Probably this boulder laid there from the beginning and received its shape due to a man... What do you think?